You remember your head hit the dashboard of your automobile even though the unexpected impact is, but a blur. The soreness in your neck and along your back is a reminder that the pain is not all in your head. You were, indeed, involved in an automobile accident. As you try to recover from your injuries, treatment seems like a daily ritual and the ensuing medical bills are beginning to overwhelm you. And you thought the emotional trauma immediately following your automobile accident was more than you could handle. Even though the automobile accident was not your fault, the phone rings incessantly. Bill collectors demand payment for the ambulance services, medical and surgical treatments for you and your passengers, your hospital stay, medication and even the chiropractor care that you haven’t yet completed. The monthly premiums you were making for automobile insurance, and a potential financial onslaught like this from a motor vehicle accident now seem as if they were wasted dollars. Vehicle insurance should be your safety net in the event of an accident. In Jensen Beach and throughout Florida, Personal Injury and Protection (PIP) auto insurance is required. PIP pays injured drivers like you up to $10,000 in immediate medical coverage without having to establish fault. However, insurance companies will not surrender to your claims so easily. On paper, Personal Injury Protection or PIP may seem straightforward, but you would be naïve to think the process to reimburse you for your injuries or lost wages is anything but efficient, effective and entirely functional. You may have learned that many insurers will attempt to deny reimbursement for medical bills and lost wages related to time from work even when the fault has been clearly defined. Depending on the severity of your injuries and the extent at which insurance companies continue to deny you the financial coverage that you were promised, the time may have come for you to reach out to an attorney. With more than 16 million registered drivers in the state, Florida experiences about 250,000 motor vehicle accidents annually. And although crashes continue to drop, some 200,000 people are injured in those automobile accidents each year. About 3,000 fatalities are a sad and unfortunate result. Careless driving is the most common culprit in automobile accidents. A motorist may have not taken into account curves in the road, corners, heavy traffic and weather conditions. Driving under the influence of drugs or alcohol will only exacerbate the potential for both accidents and injuries. A driver at-fault without bodily coverage can only complicate matters, especially if you do not have health insurance for the care of your injuries while your case is investigated to determine responsible parties. You should know that not all automobile accidents can be attributed to the fault of a driver. Vehicle malfunctions, municipalities that fail to maintain safe roadways, and automobile owners who entrust their cars to illegal drivers can also be held accountable for your injuries. The good news is that you have purchased auto insurance to protect yourself financially and others involved your accident. But, regardless of fault, you will be responsible for holding insurance companies to their obligations to treat your injuries. If the steps to do so become complicated and overwhelming, take a deep breath. Then call the Shiner Law Group located in Jensen Beach. 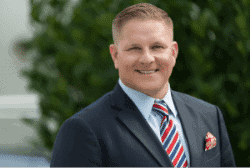 The legal team at Shiner Law Group in Jensen Beach recognizes that your case has its uniqueness and will model a strategy in your best interests to obtain the compensation you deserve. Perhaps, you should file a lawsuit. Maybe, negotiation is the best course. Or, in that rare instance, you may decide the claim is just not worth pursuing. When you are injured in an automobile accident in Martin County, you should demand a local attorney with the experience to realize you are vulnerable and dependent on others to care for you. Insurance companies are likely to not only question your injuries – especially if there is little damage to the vehicle – but deny any reimbursement for medical treatment related to your accident. This rejection only compounds your helplessness and frustration, and the vulnerability has you at wit’s end for a solution that will help you to pay for your medical care and get you back on your feet again. The Shiner Law Group of Jensen Beach will challenge these “nickel-and-dime” insurers and secure the type of settlement that your coverage requires and the best interests in your health demand. The knowledgeable team of attorneys has the resources to perform the legwork for you. Call the Shiner Law Group of Jensen Beach, Martin County, Florida at 772-777-7700 to set up a free consultation.